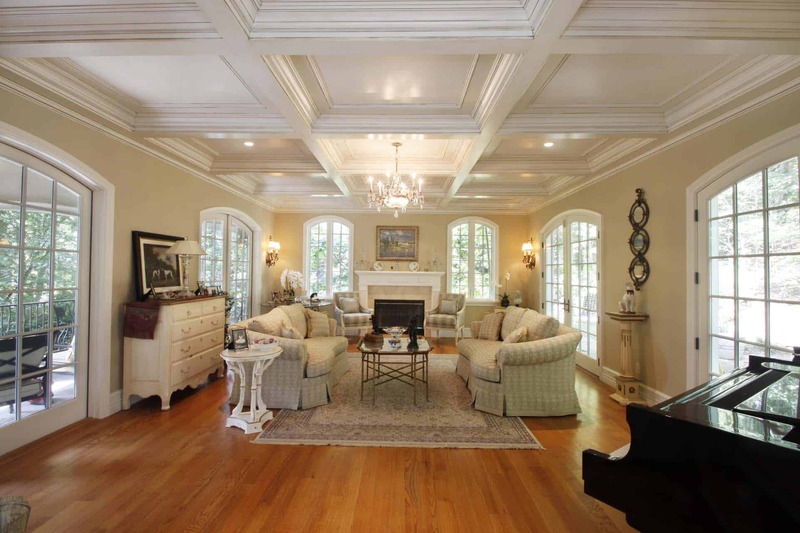 For centuries, if you wanted to enhance the beauty of your home with a coffered ceiling or decorative ceiling beams, the only choice you had was to find a local craftsman to build them from scratch on-site. 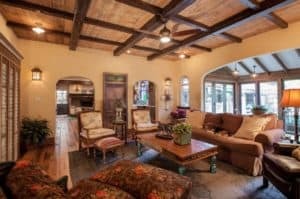 The painstaking process for doing it this way is time consuming, messy, unpredictable and costly, making an impractical endeavor for most people. 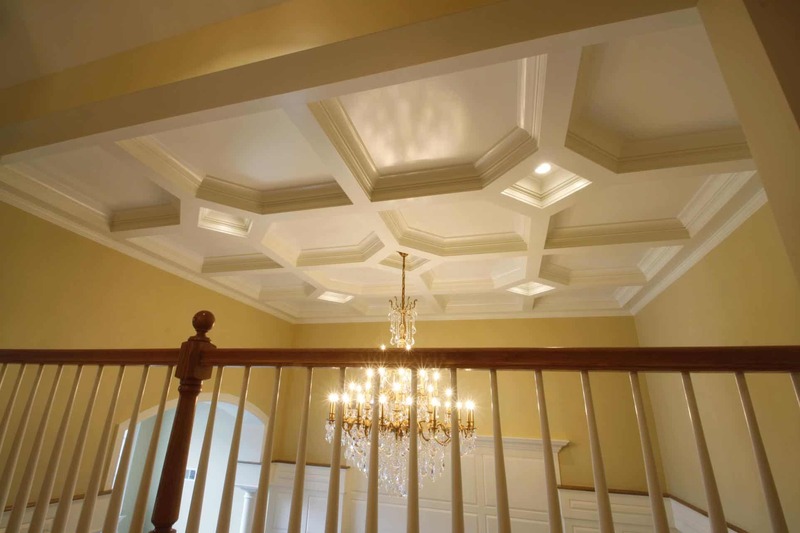 What if you could have the beauty of a custom ceiling treatment without the enormous headache and hassle? 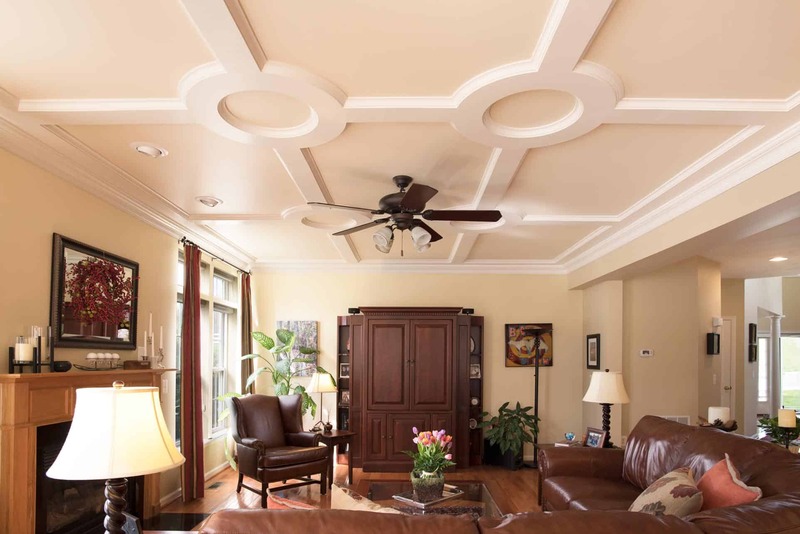 Our exclusive ceiling treatments eliminate the many headaches, hassles and drawbacks associated with conventional site-built methods. 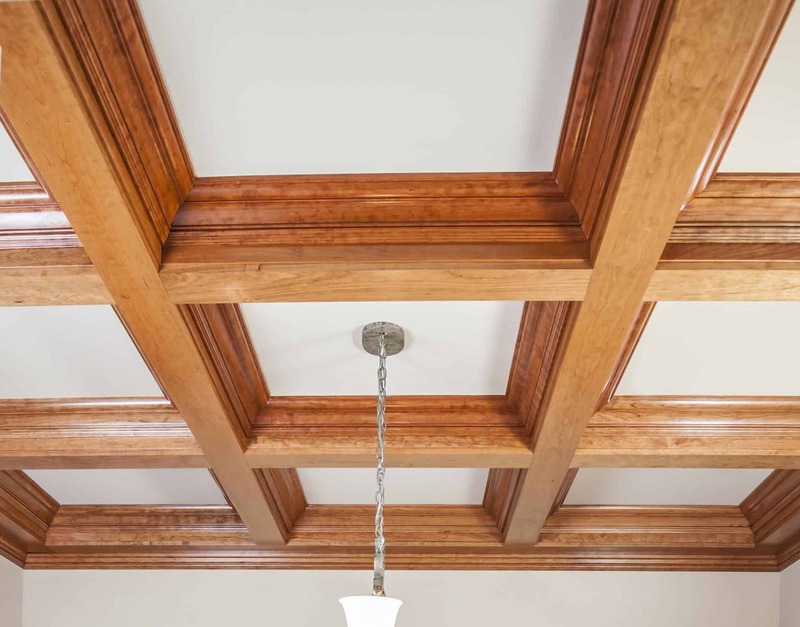 What’s more, all of our Box Beam Coffered Ceiling Systems, Shallow Beam Coffered Ceiling Kits and Faux Wood Ceiling Beams require just basic carpentry skills and tools so you can Quickly and Easily achieve superior results every time. 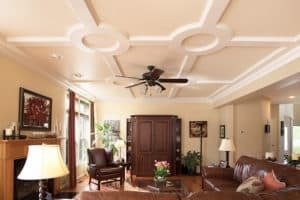 Our proprietary products combine the best of old-world custom ceiling design with the efficiency and precision of modern manufacturing techniques. 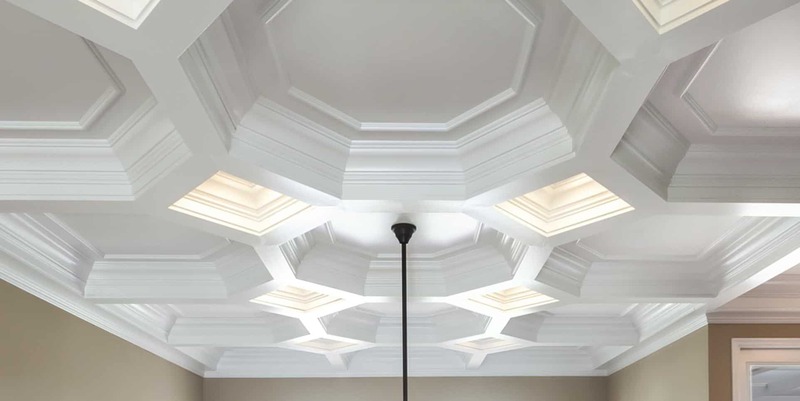 Thus providing you with ceiling treatments that are Easier to Design, Simpler to Install and more Beautiful to Behold than any site-built alternatives. 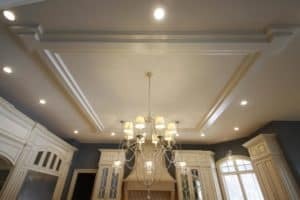 Our professional resources allow us to act as your decorative ceiling design partner or to handle the entire design process for you. We have years of experience designing and manufacturing beautifully luxurious ceilings, and welcome the opportunity to work with you to create a new ceiling masterpiece that everyone will look up to! 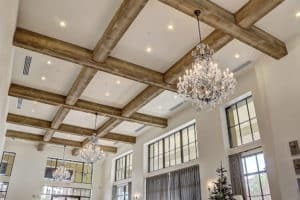 While our decorative Coffered Ceiling Systems, Shallow Beam Kits and Faux Wood Beams have been designed and produced as an ideal solution for Builders, Contractors and Designers working on residential and commercial projects they’re also easy enough for DIY Homeowners looking to enhance their own homes. 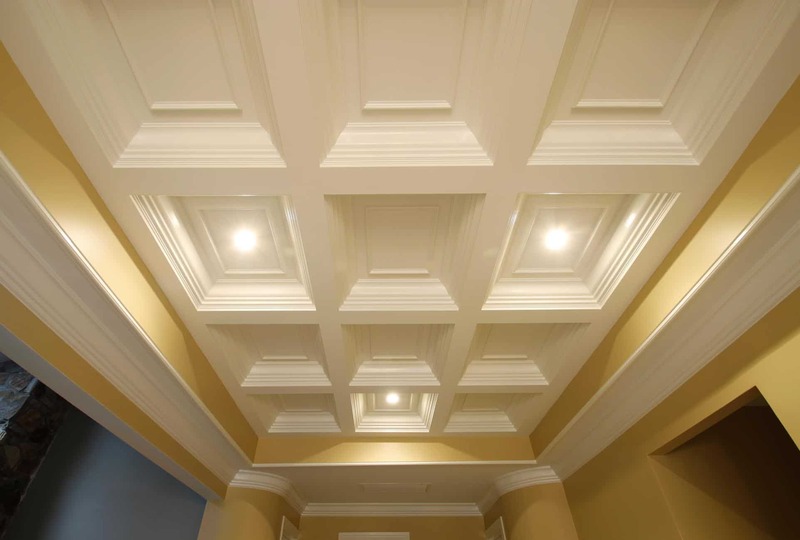 Tilton Coffered Ceiling products install quicker, easier and with greater precision than ANY conventional methods for installing decorative ceiling treatments while providing you with the quality, practically and beauty that you ultimately deserve.